Merkel says Germany always seeks to make joint decisions in co-ordination with France and the other members of the 27-nation bloc. She said members should be willing to give up some national sovereignty and accept that “Europe has the last word in some areas”. Countries in the single currency were warned last night they must accept the EU ‘has the last word’ on control of national budgets. German Chancellor Angela Merkel, the continent’s most powerful leader, insisted countries would be forced to cede more sovereignty to rescue the troubled euro. Her remarks, ahead of a summit of European leaders to discuss so-called ‘fiscal union’ in June, raised fresh concerns about Britain’s place in a rapidly changing European Union. “We need to be prepared to break with the past in order to leap forward. I’m ready to do this,” she said. 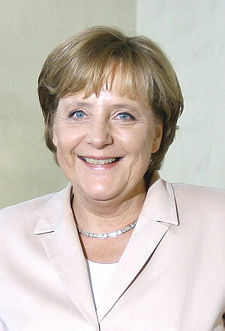 Of course, Chancellor Merkel has called for more European integration in the past. Furthermore, when the EU nations approved the Lisbon Treaty in late 2009, they all actually ceded sovereignty at that time, though most of the citizens of those nations did not realize that. But as time goes on, more and more will. Until then, we will see that Europe will end up more integrated, though the UK will eventually find itself not an equal partner, but a nation that will be taken over by Europe. Despite problems of disunity, Europe will end up with a massive reorganization (and one that essentially will eliminate all the republics in Europe) and Revelation 17:12-13 will be fulfilled, but ultimately, it will be replaced by the Kingdom of God. Who is the King of the North? Is there one? Do biblical and Roman Catholic prophecies for the Great Monarch point to the same leader? Should he be followed? Who will be the King of the North discussed in Daniel 11? Is a nuclear attack prophesied to happen to the English-speaking peoples of the United States, Great Britain, Canada, Australia, and New Zealand? When do the 1335 days, 1290 days, and 1260 days (the time, times, and half a time) of Daniel 12 begin? When does the Bible show that economic collapse will affect the United States? Here is a link to a video titled: Can You Prove that the Beast to Come is European? Germany’s Assyrian Roots Throughout History Are the Germanic peoples descended from Asshur of the Bible? Have there been real Christians in Germanic history? What about the “Holy Roman Empire”? This entry was posted on Tuesday, April 23rd, 2013 at 6:09 am	and is filed under Prophecy.